For this FroYo I used vanilla Silk yogurt, which is a soy yogurt. It was all right, but I think next time I will try it with greek yogurt, or goats milk yogurt. I don’t know, sometimes I just get the itch to try new weird things and I’m not quite sure I’m completely turned on to soy… This recipe was super simple and came out great. 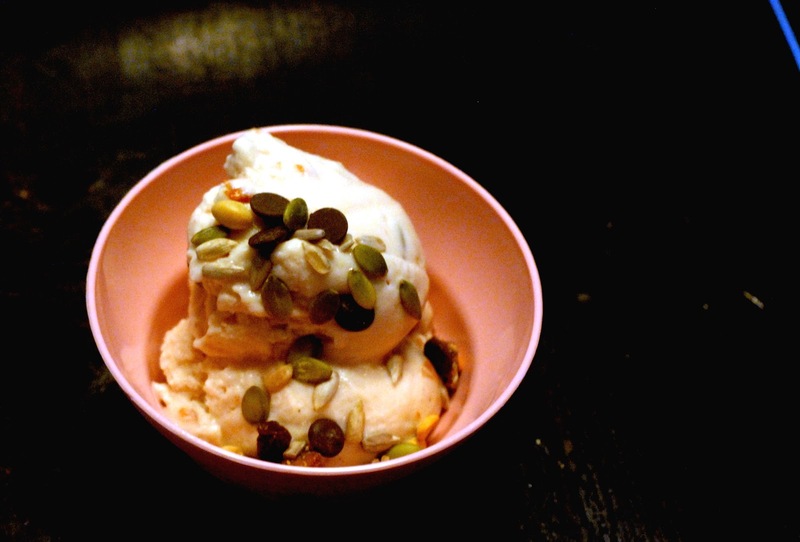 Simply whisk all of these ingredients together and pour into your ice cream maker. 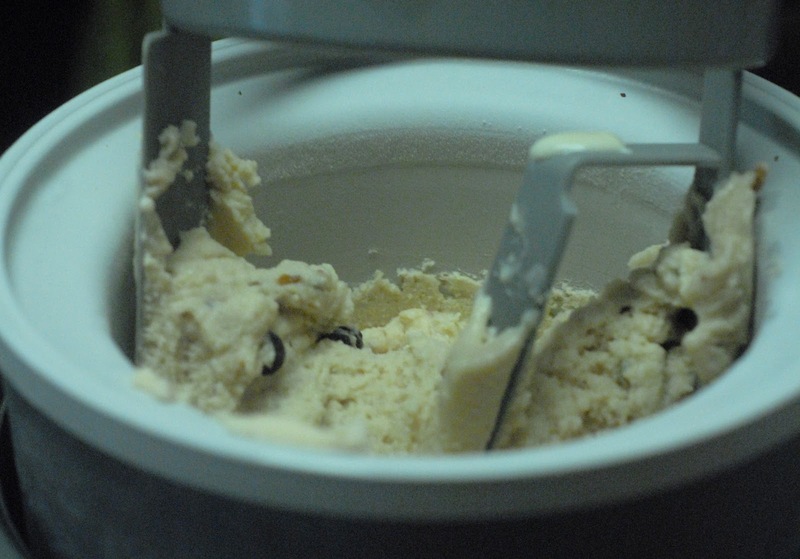 You could also wait to add the trail mix in the middle of churning the ice cream. I just added it all at once, but it made the process really noisy and there were a couple of times I had to make sure it wasn’t stuck. 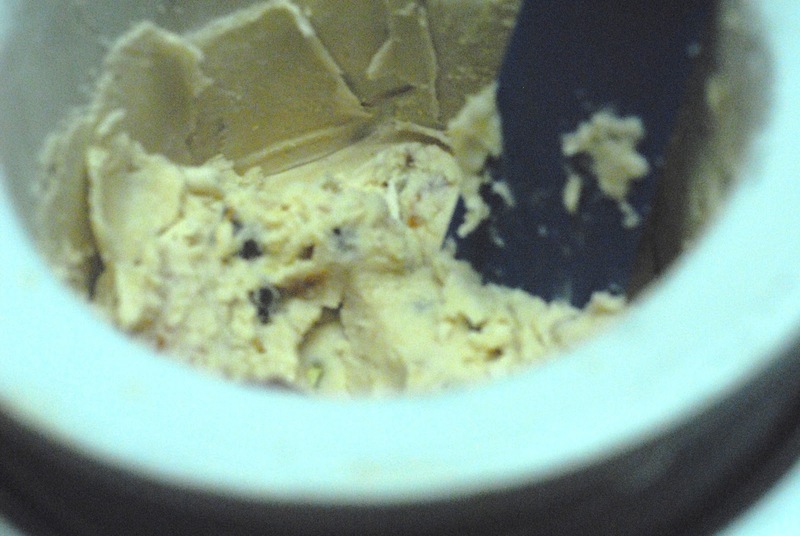 If you have larger nuts, I would recommend chopping them and definitely adding the trail mix at the 15 minute mark of the ice cream churn. I love this FroYo because you never know what you are going to bite into next! The trail mix I added had pumpkin seeds, chocolate chips, carob chips, dried cherries, currants, peanuts and chopped almonds. Sorry for the yucky pictures. I was trying to play around with textures/contrast, but I think I need to just shoot in good old fashioned good, bright light.